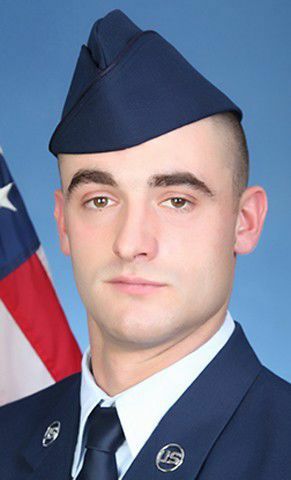 U.S. Air Force Airman Colter Taylor graduated from basic military training at Joint Base San Antonio-Lackland in San Antonio. Taylor is the son of Mike Taylor, of Laurel, and a 2017 graduate of Laurel High. 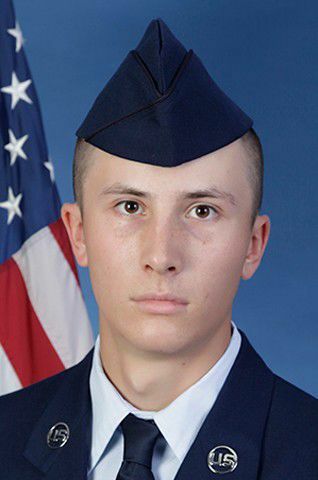 U.S. Air Force Airman 1st Class Cole J. Campbell graduated with honors from basic military training at Joint Base San Antonio-Lackland in San Antonio. Campbell is the son of Kieth and Bridgette Campbell, of Miles City, and a 2013 graduate of Hardin High. Margaret McKean, of Billings, was recently named to the fall 2018 dean’s list at William Smith College. To qualify, students must earn a minimum grade point average of 3.5. The West High team of Hayden Bentzel, John Davies, Tyler Linfesty, Ellie Lowe and Ethan Levin, coached by Kari Field, won first place at the regional science fair that took place at Montana State University Billings on March 9. Students from Montana and Wyoming competed. This is the first time West High has won the competition. The first-place team received an all-expense paid trip to Washington, D.C., for the national meet. Sixty-six student pianists performed at the 2019 Billings Music Teachers Association's Sonatina Festival at Hope United Methodist Church on March 2. The festival was adjudicated by Cynthia Kaelberer, of Cody, Wyoming, and Linda Hite, of Billings. Ben McKee recently received the Toastmaster International Advanced Communication Bronze Certificate for completing 15 manuals. McKee has attended Club Med Toastmasters meetings for five years. Club Med Toastmasters takes place at the Billings Clinic Health Conference, Room E, from noon to 1 p.m. on Fridays, with a goal of helping individuals improve their public speaking and leadership skills. 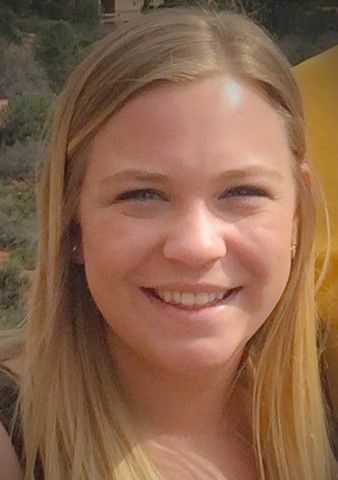 Brenna Beckett, a junior at Montana State University Billings, was the 2019 Newman Civic Fellowship. A native of Broadview, Beckett is double majoring in broadfield science education and biology. She is actively involved on campus as an ASMSUB senator, student track athlete, Center for Engagement employee, and member of the Jacket Student Ambassadors. 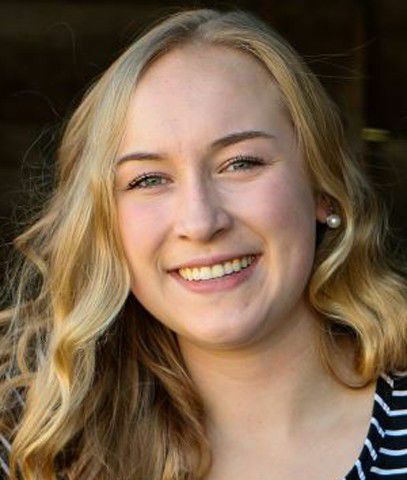 She is the fifth Newman Fellow for MSUB and one of 262 students who will make up the organization’s 2019-2020 cohort of Newman Civic Fellows. The award is a one-year fellowship for community-committed college students from more than 1,000 Campus Compact member institutions. Through the fellowship, Campus Compact provides a variety of learning and networking opportunities that emphasize personal, professional and civic growth. Each year, Fellows are invited to a national conference of Newman Civic Fellows in partnership with the Edward M. Kennedy Institute for the U.S. Senate. The fellowship also provides Fellows with pathways to apply for exclusive scholarship and postgraduate opportunities. For more information, including a list of other fellowship awardees, go to bit.ly/2TL4237. 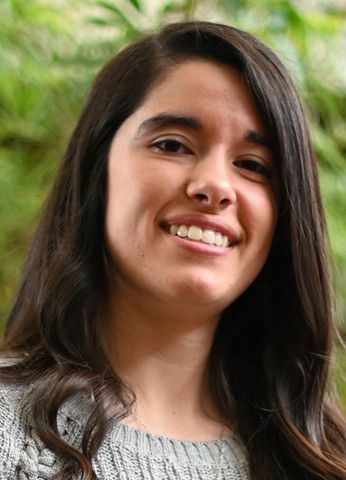 Nathalie Wagler, of Billings, was recently named to the fall president's list at Western Washington University in Bellingham. To qualify, students must earn a minimum grade point average of 3.9. 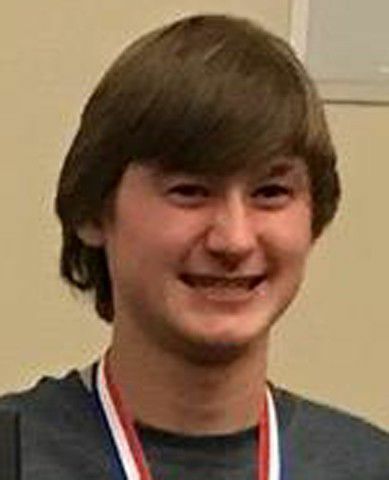 Wagler, a graduate of West High, is enrolled in the university's honors program. Cassie Smith, a graduate of Central High and a graduate and current student of Montana State University Bozeman, recently returned from Dijon, France, where she attended the winter session of the Burgundy School of Business-International Entrepreneurship Graduate Program. She completed her studies with participants from 14 other countries. Smith graduated with high honors, with a degree in accounting from MSU in May 2018 and is studying for her master’s degree in accountancy at MSU. After graduation, planned for May 2019, she plans to continue her employment with a Big Four accounting firm in Seattle. YWCA Billings’ 2019 Salute to Students Scholarship program recently awarded six outstanding students scholarships to further their education at an accredited two- or four-year college or university. Salute to Students is an extension of YWCA’s mission to empower women and to create opportunities for women’s growth and leadership. Brookelyn Bell, a Senior High student, was awarded the Jessica French Stephenson Memorial Scholarship and will pursue a degree in Secondary Education. Raegan Harper, a Skyview High student, was awarded the McCann Scholarship in Memory of Julie Armstrong. Harper plans to attend Montana State University Billings. Shea Dolan, a West High student, was awarded the Margaret Ping Past Salute Honoree Endowed Scholarship. Dolan plans to pursue a bachelor’s degree in chemistry. Renee Solberg, a mother of four and a Certified Nursing Assistant, was awarded the Wells Fargo Bank Scholarship. Solberg is pursuing a registered nursing degree. Angela Finnicum, a student studying for her registered nursing degree at Miles City Community College, was awarded the LP and Theresa Anderson Foundation Scholarship. Siriana Lundgren, of Billings, was recently named to the fall 2018 dean's list at St. Olaf College. To qualify, students must earn a minimum grade point average of 3.75. Wyoming National Guard Pvt. 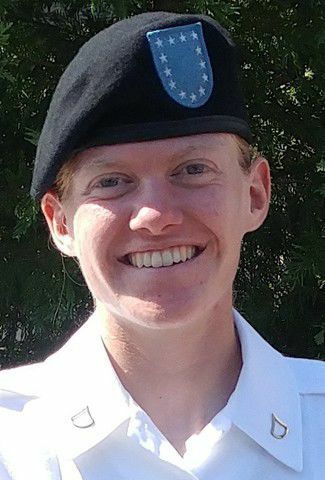 1st Class Courtney Allison Richardson recently graduated U.S. Army basic training in Fort Jackson, South Carolina. While there, Richardson received the Expert Metal for shooting skills. Richardson also graduated from Advanced Individual Training at Fort Lee Military Base in Virginia as an ammunition specialist. She is the daughter of Wanda and Jason Richardson, of Fromberg, a graduate of Fromberg High, and previously studied photography at Northwest Community College. Anna G. Bottrell and Rebeca M. Strong Garcia, both of Billings, were named to the fall 2018 dean’s list at Boston University. To qualify, students must earn a minimum grade point average of 3.5. Area students recently named to the fall 2018 dean’s list at Eastern Washington University are: William Klein and Katrina Terry, both of Billings; Breanna Reilly, of Laurel; and Aubrie Garza, of Shepherd. To qualify, students must earn a minimum grade point average of 3.5. 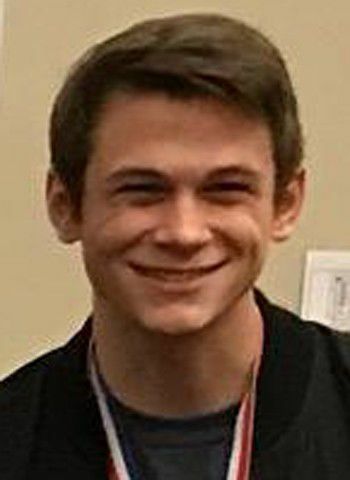 Alex J. Winchell, of Billings, was recently named to the fall 2018 dean's list at the University of Minnesota Twin Cities. To qualify, students must earn a minimum grade point average of 3.66. Haley Knepper, of Billings, was named to the fall 2018 president's list at Minnesota State College Southeast. To qualify, students must earn a minimum grade point average of 3.5. Riley McCuen, of Billings, was named to the fall 2018 dean's list at Washington University in St. Louis. To qualify, students must earn a minimum grade point average of 3.6. McCuen is enrolled in the university's McKelvey School of Engineering. The following students were selected by their high schools as Daughters of the American Revolution Good Citizens and were recently honored at a Presidential Tea hosted by Shining Mountain Chapter DAR. The awardees include: Andee Baker, Park City High; Clara Bentler, Senior High; Shane Comin, Skyview High; Deidra Don’t Mix, Hardin High; Hannah Kopp, Laurel High; Karsen Marjerison, Columbus High; Haylie Oberlander, Huntley Project High; Jocelyn Ott, Reed Point High; and Mallory Simons, Joliet High. The overall Chapter winner is Andee Baker. She received a $400 award and is entered in the state contest.